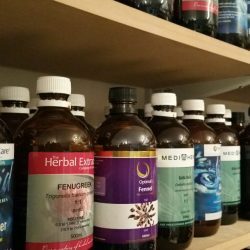 We carry a wide range of liquid herbal extracts. 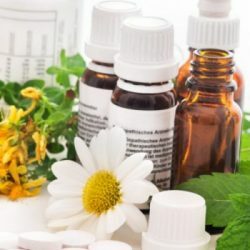 If you are aware of an herbal mix that might suit you but you do not have a script then a short consultation will be necessary. Base nutritional compounds can be customized to suit the individual. 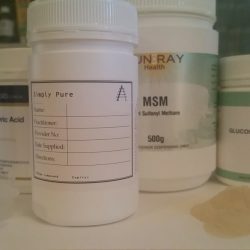 This can also reduce the number of separate supplements to take. Whey or plant protein powders make good bases for adding vitamins, super foods and amino acids. Homeopathic medicines, flower essences and essential oil blends can also be made to order. We can make up herbal mixtures and nutritional compounds to order, with a script. This service is available for the general community as well as for therapists who are looking for a service for their clients. Costs will vary according to the ingredients used. A small compounding fee may be applied, depending on the time required for preparation. Most orders will be fulfilled within 2 days. An order can be collected from the clinic, delivered to a local practice or posted.